This page has been updated, please visit our updated Helpful Hints and Tips about Hiring A Professional Band page HERE. Disc jockeys contribute more than music: Most DJs have access to the same music, so pay special attention to their characters and the services they provide. Your DJ will play an important and highly public role; choose someone who complements your reception and that you trust to respect your preferences. You should be able to trust your DJ to select appropriate music independently during the reception itself. Meeting with a disc jockey: The most reliable DJs are usually found through referrals. However, be sure to meet with DJs in person; tastes vary, and videotapes never show everything. Make sure the person you meet is the one you are hiring for your event. You should also ask to meet his or her substitute. Ask to see equipment, portfolios, or presentations of their shows so you know what to expect. Discuss appropriate dress and your particular theme. If they do more than one show per day, check to make sure they have the appropriate equipment setups for two or more shows. The DJ should be able to provide you with a list of selections so that you can choose favorites ahead of time. A DJ may even expand his collection to accommodate a few of your favorites. Be sure to provide music that people of all ages will enjoy. Written contract: Obtain a written contract stating exactly what you have agreed upon: date, number of hours (including setup), types of equipment, who will be doing the show, the total cost, provisions for overtime services, insurance, attire, etc. Master of Ceremonies: Consider asking your DJ to act as Master of Ceremonies at your reception. Be clear about how you want this role to be handled. A Master of Ceremonies adds direction to the flow of traditional reception events: cutting the cake, throwing the bouquet and garter, announcing the first dance. One DJ recommends that the "first dance" should immediately follow toasts to the bride and groom. This breaks the ice and gets the party going, especially when the rest of the wedding party takes to the dance floor during or after the first dance. Volume of music: Discuss volume as well as music selections with the DJ. Keep the volume of music low for the first hour of your reception, allowing guests to mingle and ensuring that the level is comfortable for all guests. When dancing begins, the volume can be raised. Setup requirements: Inquire about your site's dancing accommodations. Find out whether your DJ needs early access to the room, and about space and electrical requirements. Make sure your facility contact knows about these needs and that they can be met. Cut-off hours: When you make all the final arrangements with your facility, be sure to ask if they have any specified cut-off times for music. Some facilities require that music be stopped as early as 10 p.m. for the comfort of neighboring homes, businesses, or other guests. Special effects and requests: Most disc jockeys are glad to play special songs if they are requested. Also inquire about any special effects they can supply, such as lighting, strobes, mirror balls, and fog. Be sure to notify the DJ if certain songs or musical styles should not be played, even if guests request them. How many weddings have you played at and do you have references? What types of music styles do you play? What type of equipment do you use and how much space do you need for set up? Will you be the person at my wedding or another representative from your company? Have you played at my venue? Nothing beats being greeted with live music from the moment guests arrive to the last dance and can really help set the mood and theme of your wedding. There are a variety of musical styles to choose from including individual pianists, guitarists, harpists, trumpeters, string quartets, vocalists and more. Are you having a Spanish inspired affair? Think about including a strolling guitarist. Be creative with your selection of musicians and songs. You'll enjoy selecting music with special meaning for you and your partner. Prelude music is a nice touch as the guests are being escorted into your ceremony area. This music is usually a softer background type of sound that allows for guests to talk among themselves. Prelude music typically starts a half hour before the ceremony start time. Ceremony music is when musicians play as part of the wedding ceremony itself. When getting married at a church or by a clergyman be sure to see if there are any restrictions on music. Some ministers insist on approving all the music prior to the ceremony. Your favorite love song may seem offensive to the clergy; neither you nor your musicians will enjoy any last-minute confrontations. Cocktail Hour music helps keep spirits up and builds the festive party atmosphere while you and your wedding party is away having photos taken. Reception music during the dinner portion should mimic prelude music in that it should be a more gentle background sound allowing for guests to talk comfortably without having to shout across the table. However, after the meal portion has concluded, it’s time to get people on the dance floor, and get the joint jumping! How much space will you require for playing? How many people are in your group? Are the different options for musicians/instruments we can hire? Have you played at my venue before? Do you know it’s acoustic, power and amplification requirements? What attire/uniform do you wear? Can you play for both the ceremony and reception? "I Do" can be said in many languages. Join us as we explore the many unique wedding customs and traditions from three different cultures. The Beauty of Korea is present in the photos above. 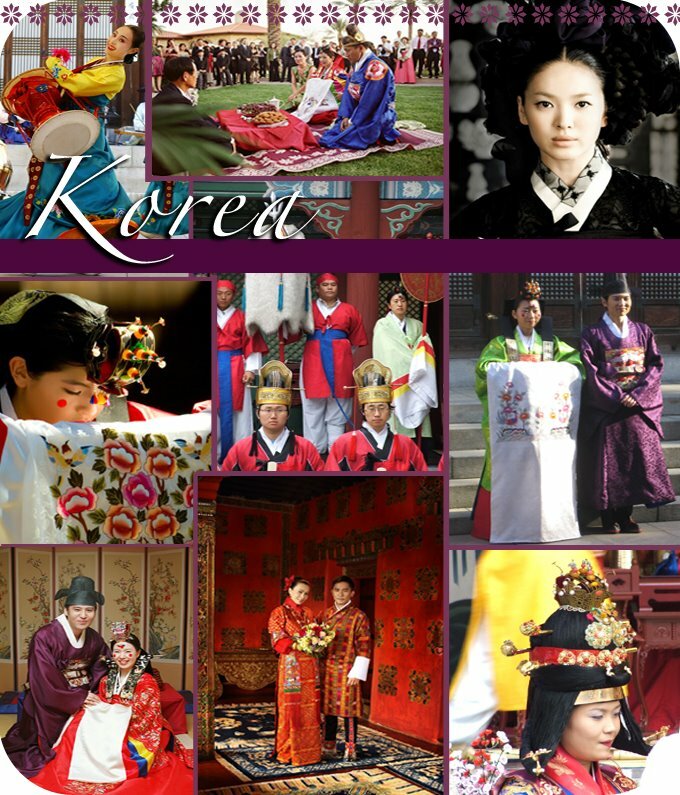 Thank you to korean-arts.com for assisting with portions of a traditional Korean Wedding Ceremony. In Korea, the marriage between a man and woman represents the joining of two families, rather than the joining of two individuals. 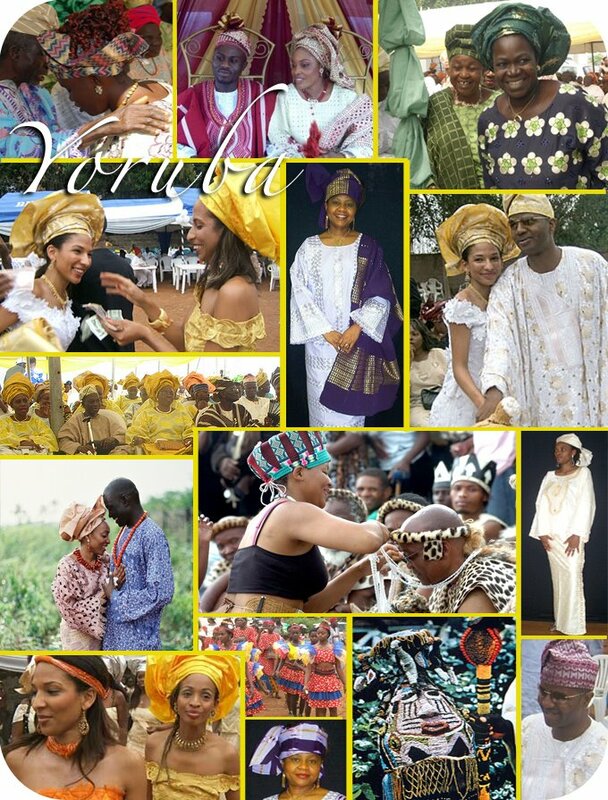 As such, the event was often called Taerye (Great Ritual), and people from all over participated. Steeped in traditional Confucian values, the ceremonies and events surrounding the actual marriage were long and elaborate, from the pairing of the couple to the rituals performed after the ceremony. Hand lanterns are used for lighting the way from the groom's home to the bride's home on the night before the wedding. Traditionally, the groom's family would carry a wedding chest filled with gifts for the bride's family. The bride's attire might include a white sash with significant symbols or flowers. A headpiece or crown may also be worn. The wedding feast or reception, (kyorhon p'iroyon) can be a mix of traditional and western cultures.